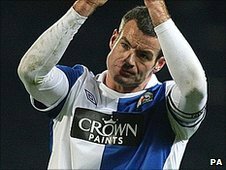 Blackburn Rovers defender Ryan Nelsen was relieved to hear his sister had given birth in his native New Zealand following Tuesday's devastating earthquake in Christchurch. Nelsen said his sister Stephanie Martin, who was 37 weeks pregnant, went into labour after being "knocked over" by the quake, which killed 98 people and left more than 220 people missing. The New Zealand captain, who was born in Christchurch, sent BBC Sport a text saying: "Family and friends all ok" and confirmed his sister had given birth to a son. Nelsen and wife Monica learned about the earthquake while at home in Cheshire and the Blackburn club captain had to wait anxiously for news of his sister, while at Rovers' training ground on Wednesday. He told BBC Radio Lancashire: "What's happened has put everything into perspective. But in all honesty coming to training getting kicked and doing some kicking has been a nice relief and release after all the stresses of what's happening at home. "About two o'clock in the morning I woke up and for some reason checked my phone and it was beeping away with texts. It was from people in America saying 'what's going on'. "I flicked on CNN and it showed all the coverage so I pretty much stayed awake trying to get hold of my parents and my family. 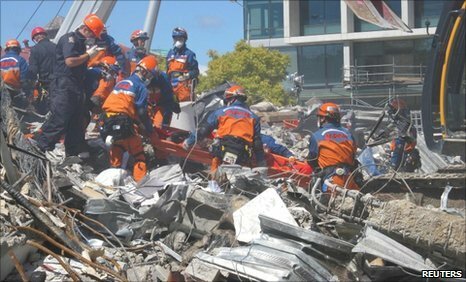 "The phones were out, you couldn't get any mobile coverage so it was about 6.30 in the morning that I finally got hold of my parents and they said they were OK.
"My sister was 37 weeks pregnant, she's got a brittle bone disease and she was struck down at the earthquake and had to get to a hospital. With there being no phone network she couldn't text anybody so there was a lack of information coming out. "You knew she'd fallen down, knew she'd gone in to labour and then four hours later you knew she was in hospital having surgery and it was about four hours after that you're waiting to see what happened and luckily the good news came that both were healthy and doing well. "My new baby nephew is her second child so everything's really good and we're just really really lucky. "The stories that are coming through are just unbelievable. It's ridiculous. I know one of my friends was in the downtown and saw a couple of people killed with one of the buildings collapsing on them. "You hear stories like that and it's virtually impossible to get over - just seeing complete strangers just diving head first in to rubble and flames and steel just to pull people out. My friend said to me he will never ever question humanity ever again. "Some of the bravery he saw was absolutely unbelievable. "I left when I was 19 and I've said to my wife you always get homesick because that is where you grew up but I've never been so homesick than I was when it happened. "I just so badly wanted to be back, not that I could have done anything but I just wanted to be with family and friends at probably the darkest day of their lives." Nelsen left New Zealand to play football in the United States in 1997 and joined Rovers from US side DC United in 2005. The centre-back will be available for selection for the Ewood Park oufit's Premier League game against Aston Villa at Villa Park on Saturday.